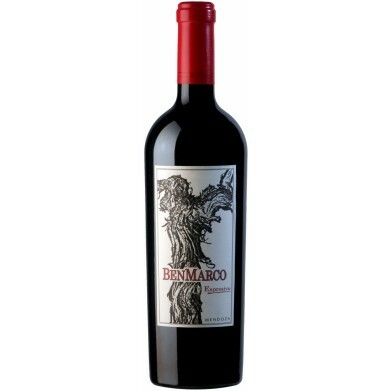 BENMARCO EXPRESIVO for only $27.59 in online liquor store. Wafting aromas of ripe red currants, black cherries and mildly smoky and sweet vanilla oak. Layers of currant fruit, dense black cherry, and notes of brown spice (cocoa, nutmeg), dark chocolate, and hints of sandalwood. Keeps showing its stuff as it breathes in the glass—for folks who want the full experience and may be a bit impatient, decanting is a good idea. Perfect balance, great concentration and length, and loaded with fine, ripe tannins for having with food or for aging. This wine should also age beautifully for 10-25 years. Pairs well with a wide range of foods including grilled steak, roasted pork loin, veal, medium-strong cheeses, and most cream sauces.